Taking a bit of a break after a morning of patrolling and sentry duty drills. Takin breaks are important. I try to take em on my walks. 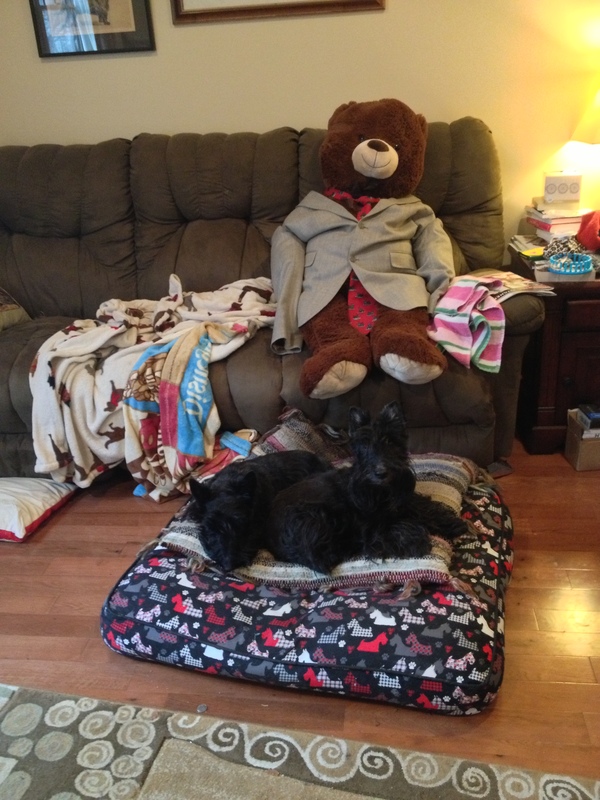 You know that even a Sgt and his staff need to have a day off….and specially on a fine Scottie bed!